The official Miva Diva Women’s 100 was truly a success from the training to the weather to the BBQ and most importantly the work of everyone behind the scenes.There is a lot of effort that goes into an event like this so I only see fit to shout out to them. Janna G - Thank you for having the idea of creating a central location for women to get together and ride in celebration in 2017, this just would have never started without the love and passion that you have for cycling. Lorrie Baildham, aka my spandex bestie - Thank you for number one being you. You are kind, funny and damn good on the bike, sometimes I wish I could lasso you on the uphills to catch a free ride, but I think our riding style together is just perfect;)Thank you for sitting with me and coming up with the training plan for this year, for showing up when I couldn’t, for building the AWESOME route today and other days, picking up last minute things and being a great LEADER.For every conversation that we had about the event that inspired ideas and offered support.You are the quiet one that does more than I can remember so from the bottom of my heart THANK YOU. 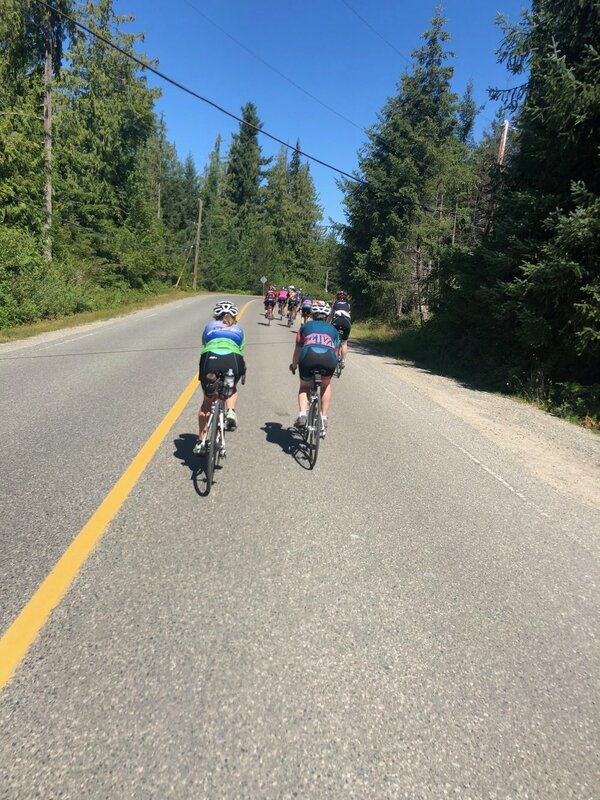 Charlene Stewart - Thank you for jumping on board with this fun adventure, leading rides, making all of the riders feel comfortable and safe.For showing up week after week in-between the MILLION other responsibilities you have as a mother, wife, athlete, and teacher. AND for the great ideas and feedback that will make next year even better! (yes I said better, I know it was hard to believe but it’s true;) Char you are SOLID! Thank you to the club for entertaining our idea, to Patrick for all of the shopping for the event, Shep and Paul for being our support on the day, including being our awesome chefs and also helping out with some of the Saturday group rides.Antonious for showing up without even being asked today, true supporter.To Coal City Cycles for draw prizes and Frontrunners for our gels.To Good Life Juice for the fantastic juice bevies, and Cold Front Gelato for the AH-MAZING gelato after the ride. 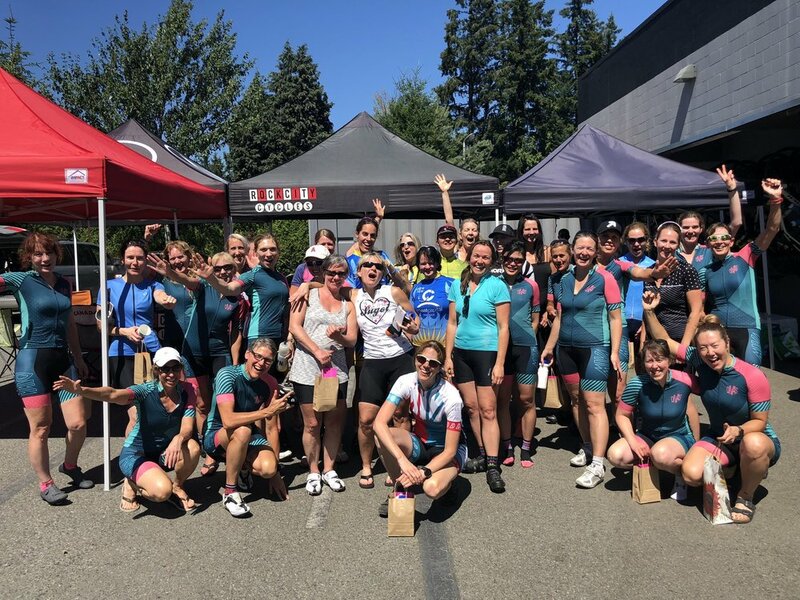 Rock City Cycles - A big massive shout out to you, for hosting our event and even more importantly letting us ladies use the washroom EVERY Saturday morning AND making sure it was clean! For filling our swag bags with goodies and of course for the PROSECCO!!! Pass on a thank you to Jack for being our server! We really hope that you all enjoyed yourselves and I want to say thank you to each and every one of you that rode today and for showing up wholeheartedly. Your energy and enthusiasm was a delight to be present in, if you aren’t already a member of the MIVA DIVA Training Group please request to join. There is strength in numbers, so stay tuned for what we will have in store for next year! Spandex friends are the best kind of friends.